Fibromyalgia is the most common condition in which a person has long-term, body-wide pain and tenderness in joints, muscles, tendons, and other soft tissue. Fibromyalgia has also been linked to fatigue, sleep problems, headaches, depression, and anxiety. The pain of Fibromyalgia Syndrome is usually described as aching, throbbing or burning and is unpredictable in nature. Its severity varies from day to day and different parts of the body tend to be affected at different times. In some people FMS can be very severe and disabling, while in others it may cause only mild discomfort. Fibromyalgia involves changes in the body’s neurotransmitters – the substances that allow nerve cells to communicate with one another. When produced in adequate amounts and at the right times, neurotransmitters – such as serotonin, noradrenaline, adrenaline, dopamine and many others – ensure proper functioning of the circuitry of the nervous system. When the production of neurotransmitters is altered, the circuits that depend on these substances malfunction, which produces symptoms. This is precisely what happens in your pain pathways: malfunctions in these neurotransmitters lead to a situation in which some stimuli are perceived more strongly than usual, thus producing the characteristic, widespread aches and pains of fibromyalgia. 18th century: Physicians begin to distinguish joint rheumatism that is accompanied by signs of deformity from painful, non-deforming musculoskeletal disorders, commonly referred to as muscular rheumatism. 1835: Hans Christian Andersen publishes The Princess and the Pea, a literary fairytale describing a princess who suffered from a heightened state of physical sensitivity that interferes with her ability to sleep. 1841: Valleix puts forth the concept of trigger points, and suggests that these points’ proximity to specific nerves indicates that muscular rheumatism is actually a disorder of the nervous system. 1987: The American Medical Association recognizes fibromyalgia as a true disease entity. 1989: Yunus publishes evidence showing normal results of muscle biopsies in fibromyalgia patients, which shifts the focus of research away from muscle and toward the central nervous system. 1990: The American College of Rheumatology (ACR) diagnostic criteria state that in order to receive a diagnosis of fibromyalgia, patients should have widespread pain and at least 11 of 18 possible tender points. Moreover, these criteria assert that a decreased threshold for pain is the hallmark sign of fibromyalgia. 1991:The Fibromyalgia Impact Questionnaire (FIQ) is published for the first time. The FIQ is a standardized and validated questionnaire designed to assess the overall impact that fibromyalgia has on the patient’s ability to function, their pain level, fatigue, sleep, mental status, and other domains. It is subsequently translated into 14 languages. 1991: The World Health Organization (WHO) incorporates fibromyalgia into their tenth revision of the International Statistical Classification of Disease and Related Health Problems (ICD-10). 1995: First United States population-based study reveals 2% prevalence of fibromyalgia. 1997: The National Fibromyalgia Association is formed to promote awareness of fibromyalgia and improve its legitimacy. 1997: A controlled study implicates the role of trauma (particularly cervical spine injury) in fibromyalgia. 2007: Lyrica (pregabalin) becomes the first U.S. Food and Drug Administration (FDA)-approved drug specifically for treating fibromyalgia. 2008: Cymbalta (duloxetine hydrochloride) becomes the second FDA-approved drug to treat fibromyalgia. 2009: Savella (milnacipran hydrochloride) become the third FDA-approved drug to treat fibromyalgia. 2010: The 1990 ACR diagnostic criteria for fibromyalgia are updated in an effort to better standardize the symptom-based aspect of diagnosis and ensure that physicians use similar, if not the same, processes to arrive at a diagnosis of fibromyalgia. The symptoms of Fibromyalgia vary a great deal. People with Fibromyalgia often complain of varying degrees of muscular pain, stiffness and fatigue. Pain is present when people are resting but may be worsened by exercise. Pain is felt in all four limbs and almost always in the upper and/or lower parts of the spine, and/or the head, face and jaw. 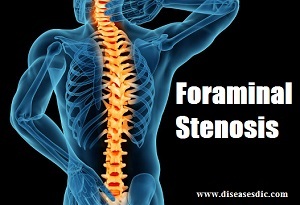 Stiffness, body stiffness is a significant problem experienced by most patients. It can occur upon awakening or remaining in one position for prolonged periods. It can also accompany weather changes. Increased Headaches or Facial Pain. Headaches are a common complaint for many with FMS. 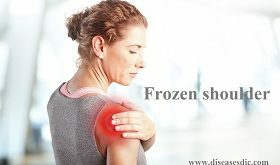 They may be caused by referred pain from tender neck and shoulder areas. Abdominal Discomfort, FMS-related symptoms include digestive disturbances, abdominal pain and bloating, constipation, and diarrhea. As a whole, such symptoms are known as irritable bowel syndrome. Irritable Bladder, Fibromyalgia patients may notice an increase in urinary frequency or experience a greater urgency to urinate. Numbness and Tingling, also known as “paresthesia”, symptoms usually involve a prickling or burning sensation, particularly in the extremities. Chest Pain. Persons with FMS sometimes experience a condition called “costochondralgia” which involves muscular pain at the spot where the ribs meet the chest bone. Since costochondralgia mimics cardiac symptoms, it is always a good idea to check with a physician if chest pain occurs. Cognitive Disorders. Frequent complaints, which vary from day to day, include difficulty concentrating “spaciness”, “Fog”, memory lapses, word mix-ups when speaking or writing, type of stuttering (difficulty getting words out) and clumsiness or dropping things. FMS patients also experience dizziness and balance problems. Typically, there is no classical, spinning vertigo. Rather difficulties in orientation occur when standing, driving or reading. Environmental Sensitivity. Allergic-like (but not true allergies, i.e. non immune mediated), reactions to a variety of substances are common, including sinusitis, as are sensitivities to light, noise, voice (when tension head/headache is present) odors, and weather patterns. Dryness of the skin, eyes and mouth is also common. Other Symptoms. Fibromyalgia Syndrome is often described as the”Irritable Everything Syndrome” increasingly, additional symptoms (see the extended list of symptoms in this folder) and syndromes are being associated with FM. Medical attention is needed, because fibromyalgia can be difficult to manage. As it is a syndrome, each patient will experience a different set of symptoms, and an individual treatment plan will be necessary. Drugs may be recommended to treat certain symptoms. These may include over-the counter (OTC) pain relievers, such as non-steroidal anti-inflammatories (NSAIDs). Antidepressants, such as duloxetine, or Cymbalta, and milnacipran, or Savella, may help reduce pain. Anti-seizure drugs, such as gabapentin also known as Neurontin, and pregabalin, or Lyrica, may be prescribed. A combination of aerobic exercise and resistance training, or strength training, has been linked to a reduction in pain, tenderness, stiffness, and sleep disturbance, in some patients. If exercise is helping with symptoms, it is important to maintain consistency in order to see progress. Working out with a partner or personal trainer may help to keep the exercise program active. Some patients have experienced improvements in their quality of life after starting acupuncture therapy for fibromyalgia. 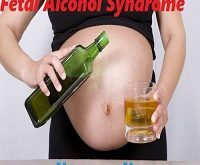 The number of sessions required will depend on the symptoms and their severity. Behavior modification therapy is a form of cognitive behavioral therapy (CBT) that aims to reduce negative, stress- or pain-increasing behaviors and improve positive, mindful behaviors. It includes learning new coping skills and relaxation exercises. Fibromyalgia cannot be prevented. Proper treatment and lifestyle changes can help reduce the frequency and severity of your symptoms. People with fibromyalgia attempt to prevent flare-ups rather than trying to prevent the syndrome itself. There are many things you can do to prevent aggravation of your symptoms. Lack of restorative sleep is both a symptom of fibromyalgia and a cause of flare-ups. Poor sleep creates a cycle of more pain, making it harder to sleep, which causes more pain, and so on. You may be able to break the cycle by going to bed at the same time every night and practicing good sleep habits. Try relaxing one hour before bed by shutting off the television and other electronic devices. Reading, taking a warm bath, or meditating are all good ways to unwind and prepare for deeper sleep. Your doctor may prescribe a sleep aid if you have persistent problems falling or staying asleep. Thank u Very much for the diagnosis of the Fibromyalgia ,I suffered many years not knowing the kind of Pains I was experiencing ,but Now I convinced that Iam suffering from Fibromyalgia,Iam preparing now to go And see the doctor with this information ,Thank you again . Thank you for your insight into Fibromyalgia. Ive been in & out the ER without any clear insight into what is going on with me. I have been misdiagnosed so many times because no one really knew what this was or what I was going through or experiencing. They diagnosed me with Scholeosis after my car accident. Once my pain increased and I began to become almost immobile they said it was RA then Lupus then with no R factors it became Osteoarthritis. Thank you for giving me an understanding. Drugs such as duloxetine, or Cymbalta, and milnacipran, or Savella, may help to reduce pain. Try with acupuncture therapy to reduction from fibromyalgia. Wonderful presentation of scientific facts about FMS. have been having burning pains from my left shoulder and my neck for more than 4 years now and am really disturb. please what can i use to stop this pains and i don’t sleep at night. have been having burning pains on my left shoulder and pains on my back neck for more than 3 years. please am really worried and i need quick solution. also feeling pains all over my body and i have difficulty in sleeping at night. when i checked my BP is okay so i really need response to my problem doctor. I have had fibromyalgia for 23 yrs. And I am on opioids which I am trying to get off of, my PCP was booked up when it was time for my pain meds so I am not very happy with him right now, it being Christmas he, closed. I have neuropathy in my feet and hands, and I’m not a diabetic. I so enjoyed your information.